The Denver region is known for 300 days of sunshine. However, the region is also susceptible to catastrophic flooding. 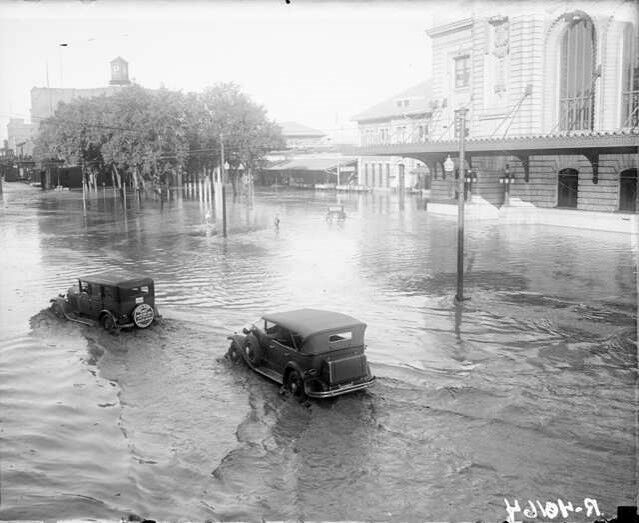 Below are seven of the most destructive floods in the history of the Denver region. When possible, we’ve adjusted all of the listed monetary amounts to match 2018 dollars. The 1965 flood produced rainfall as high as 15.5 inches southeast of Lamar. In addition 14-plus inch rainfall fell near Castle Rock in the Plum Creek basin. That was also the storm that hit the Denver region. Other areas received as little as one inch. 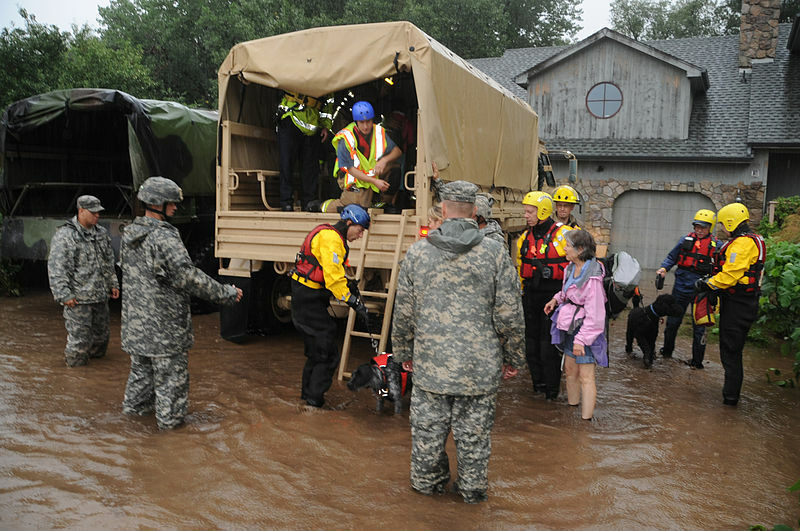 This flood remains the largest in Colorado history, and one of the most expensive in terms of the damage it caused throughout the state. It prompted the building of Chatfield Reservoir and Bear Creek Reservoir, and changed the face of the city. The Flood Control District was founded in 1969 in response to the ‘65 flood. Our mission then remains the same as today: protect, people property and the environment. The catastrophic 2013 flood killed 10 people and caused nearly $4 billion in damage across 24 counties. The flood, which occurred just five years ago, shows us the catastrophic effects of flooding that can happen even in the current day. It also shows us the importance of being vigilant in controlling future flooding. The flood was also a moment in which local, state and federal agencies as well as ordinary citizens worked together to help their neighbors. 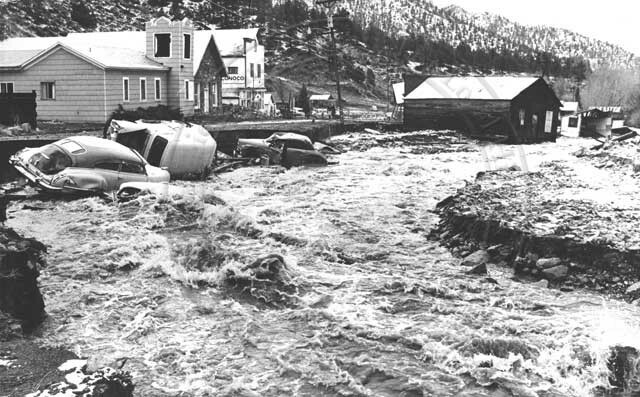 On May 7th, 1969, 60 hours of continuous rain caused severe river flooding in localities in the Boulder area, especially the area surrounding South Boulder Creek. Other areas were also hard hit. According to reports, between 10-12 inches of rain accumulated in the region, causing widespread flooding and nearly 21 million in damages. 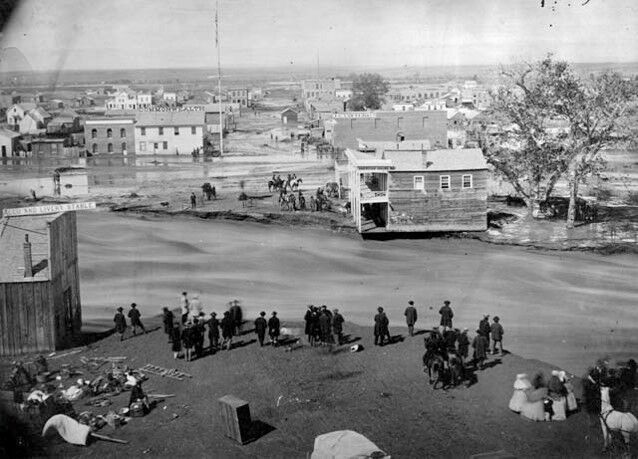 At the time of the 1864 flood what was then known as “Denver City” rested on the northeastern banks of Cherry Creek. A snowy winter, heavy spring rain and an unusually violent thunderstorm caused horrendous flash flooding along Cherry Creek. Pioneers had built in the dry bed of Cherry Creek, despite warnings by Arapaho Chief Little Raven. One night a six-foot wall of water came crashing down the creek. The flood killed 15 to 20 people and did an estimated $1 million worth of property damage. 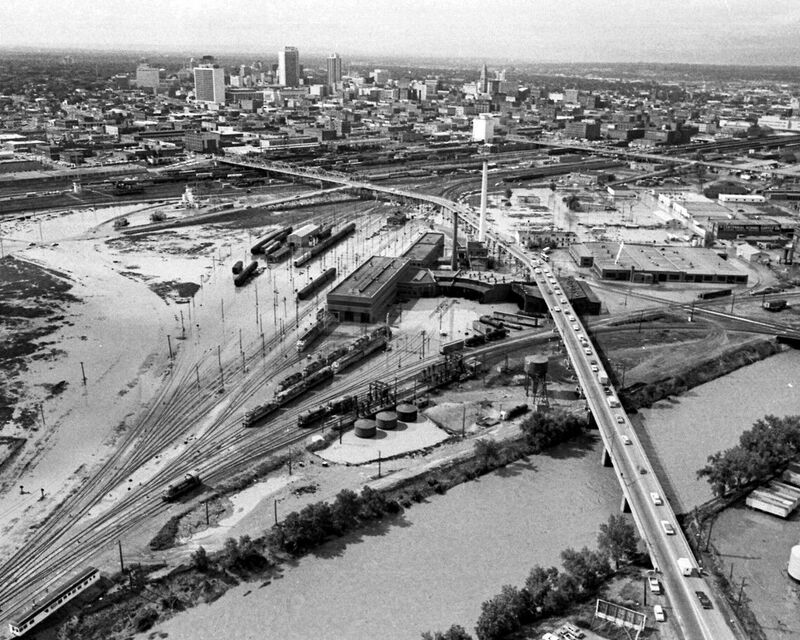 The 1973 flood caused chaos in Denver when the metropolitan area flooded and the South Platte rose four feet above it’s normal level. This resulted in a 10.85 foot rise over the 19th St. Bridge. However, this flood was more of “a steady overflowing of water” as opposed to the “one surge” Denver experienced during the flood of 1965. An early report in 1933 showed that the dam was in “a serious state of disrepair and had constant leaks and had posed potential catastrophic dangers for Denver,” according to historian Darla Sue Dollman. However, no action was taken. The dam ruptured and sent a 17 foot wall of water down Cherry Creek through Denver. The flood devastated Tucker Gulch in Flood. More info and photo available here. Residents referred to this flood as the worst ever to hit Morrison. This storm also hit Golden and Eldorado Springs hard. The photo above shows the damage along Tucker Gulch in Golden. The flood waters washed away plenty of bridges, homes, and people. A cloudburst caused flooding along Bear Creek, Turkey Creek and Mount Vernon Gulch. As a result to these flooded creeks, 27 people lost their lives, and a ten foot wall of water roared down Bear Creek. Several buildings in Eldorado Springs were destroyed as a result of the flood eroding away their foundations. 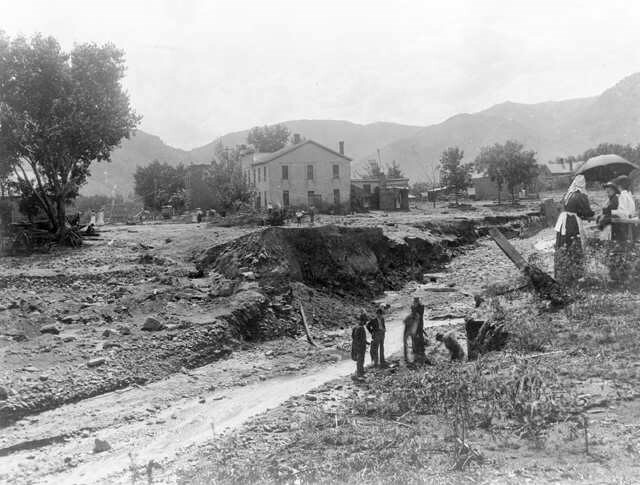 Numerous bridges were destroyed and the valley from Eldorado Springs to Boulder Creek and down Boulder Creek to the St. Vrain Creek was in shambles. This flood is the highest recorded flood on South Boulder Creek. Despite its normally dry climate, the Denver region is susceptible to extreme flooding. Our history and present day exemplify the destructive nature of flooding in the region. Loss of life and property damage are just some of the negative consequences of mother nature’s wrath. But, destruction can be limited and prevented through proper flood control activities. The Flood Control District was founded with that mission. And the mission of protecting people, property and the environment still exemplifies our work today.